Take this opportunity to access an exclusive Master Course from one of the best musicians to ever grace the guitar. 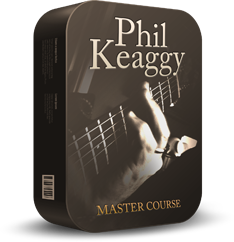 This course will cover the 40+ techniques, styles, and flavors that have defined the 45 year history of Mr. Phil Keaggy. With over 70 albums and trios, Phil is one of the most sought after studio guitarists available today.